Learning Tools Interoperability (LTI) allows you to integrate MasteryConnect with Blackboard. Once your administrator sets up an LTI for your school or district, you will be able deliver assessments in MasteryConnect through Blackboard. First, log in to Blackboard and open the course to which you would like to add the assessment. 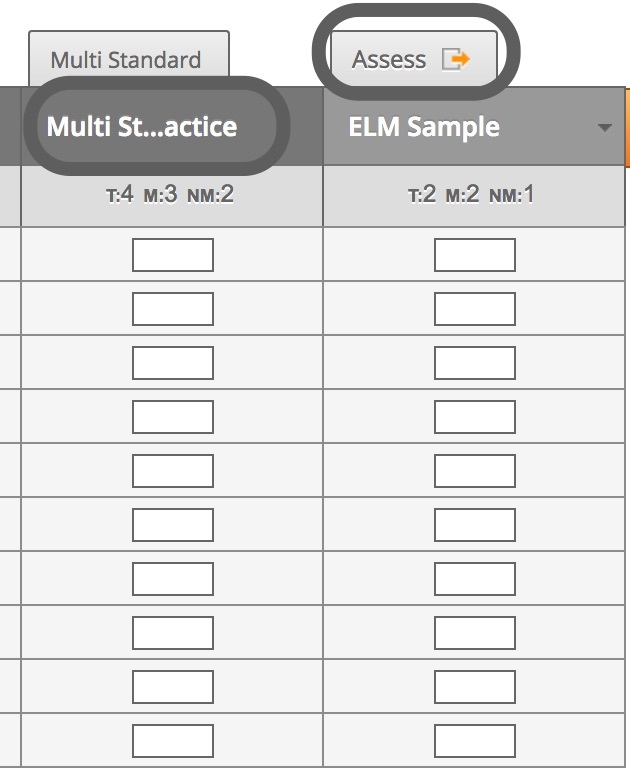 Click the Assessment drop-down list and select your MasteryConnect placement. 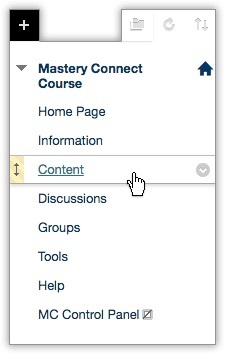 Now, you'll need to create the assessment in Blackboard and then link it to MasteryConnect. To begin, enter a title for the assessment in the Name box. Next, in the Grading section, select Yes for Enable Evaluation. This will create the column in Grade Center. In the Points Possible box, enter the total points available for the assessment. This needs to match the points of the assessment that you're linking to in MasteryConnect. At this point, the assessment appears in your Content list, as well as in the student's Blackboard interface. However, until you link it to MasteryConnect, the student will not be able to see any actual content should they click the title. To begin linking it, click on the title of the assessment. MasteryConnect will open in your Blackboard window. Now, you'll need to find the assessment in your tracker. First, click Trackers in the main navigation bar. 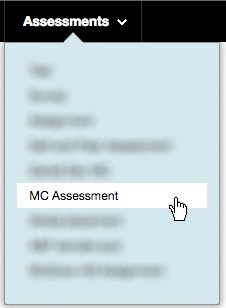 On the Assessment modal, you'll see a link to the assessment that you created in Blackboard; click it. The assessment will now be linked to your course in Blackboard and available to your students.